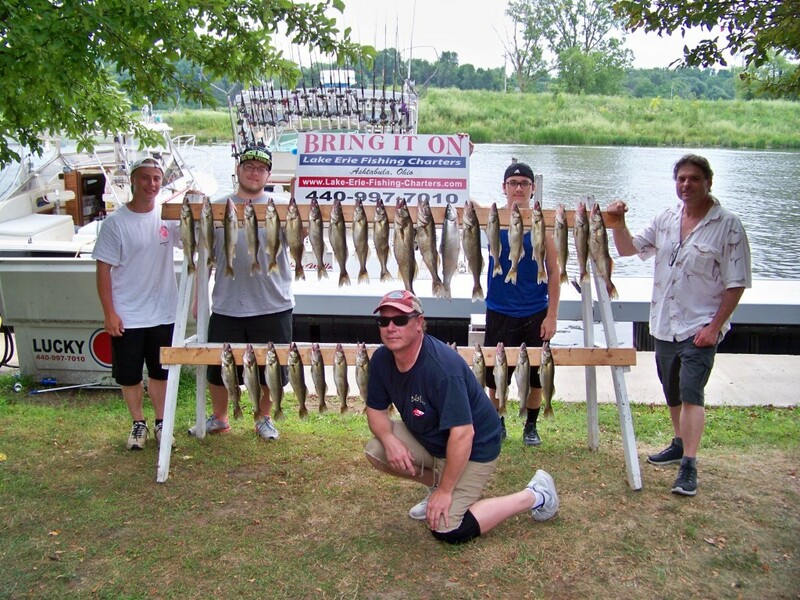 ﻿ Bring It On - Lake Erie Fishing Charters - Ohio. Find It Here. Lake Erie is well known as being the walleye capital of the world and our home harbor, Ashtabula, Ohio, is well known for producing some real trophy-sized catches. 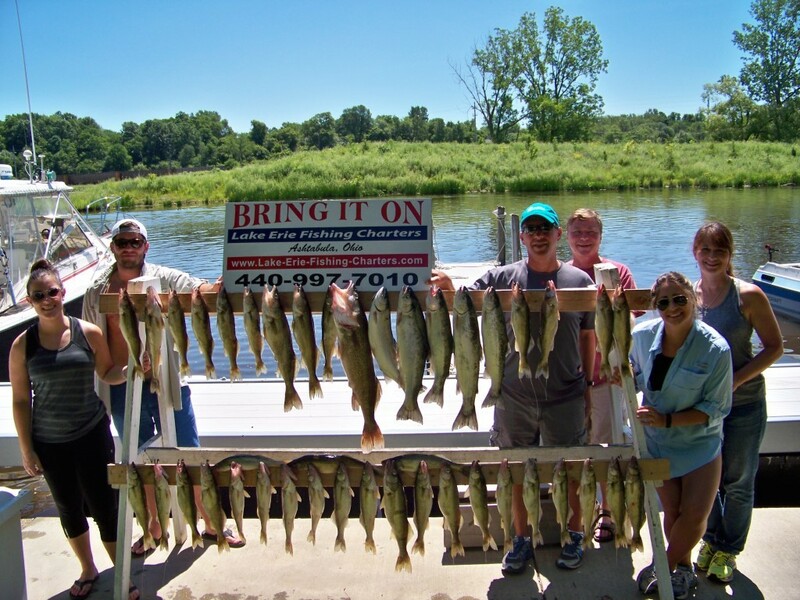 Join us for an exciting day of charter fishing for trophy walleye, steelhead trout, smallmouth bass, or yellow perch. 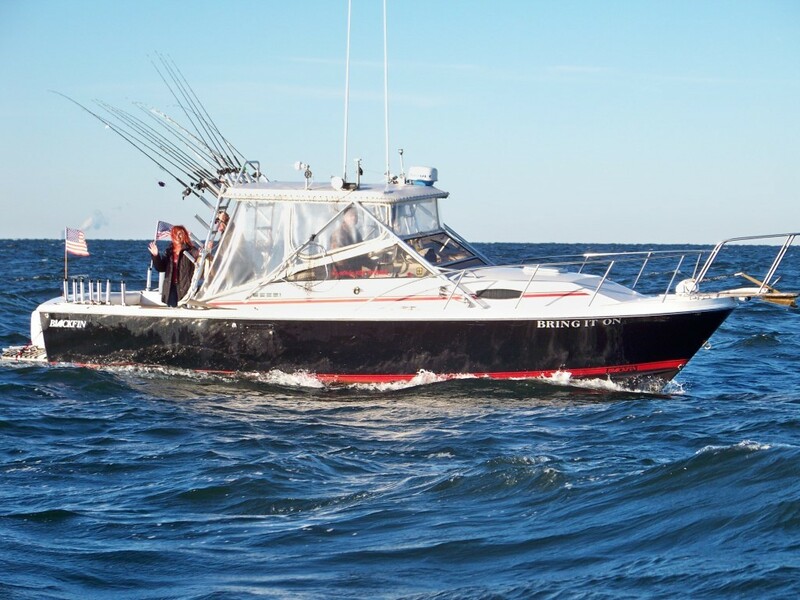 Experience the legendary ride & comfort of a Blackfin sport fishing boat. Blackfin yachts are well know for their sea calming ability......come fish with us & ride the Blackfin legend! If sight seeing is more your style Captain Art Miller or Ken Thomas will take you on a personal guided tour of Lake Erie for small groups of 6 or less or can arrange multiple boats for large groups. Visit some historic landmarks or enjoy an evening sunset on the water. Call us at 440-997-7010 to plan your Bring It On adventure now!